There are professional events or occasions when getting the best transport service is warranted. Corporate car service can help professionals to stand out and this in turns boots the company image. Whether you are planning meetings with clients or stakeholders, arriving in style and on time can help to leave a lasting impression. It is a well-known fact that first impressions count and you can be on your way to signing that deal even before the meeting begins! Following are situations when it is worth your while to use a chauffeured car service. At a time when it is increasingly important to stay ahead of the competition, it is very important to take good care of your clients. The fact is that people have options and it is easy for your clients to be enticed by your competitors. The truth is that you can try to ignore the competition but with ready access to information on different options, holding on to clients is becoming increasingly difficult. It is important to look for ways to go the extra mile and the best way to do this is by offering a great client experience. It is more difficult to get new clients than to retain the current ones and many companies are choosing to hold on to their customers by improving their experience. If you are planning to take an important client to lunch, including chauffeured transport as part of the package can help to improve the entire experience significantly. It may be a small thing but the client will not overlook it as it shows that you value the professional relationship. This is a great way to communicate without using words. Any good employer knows that how your treat your employees will reflect in the results that they produce. Well, when employees go over and beyond on tasks or projects, it is a good idea to look for ways to reward them. If you have employees who display passion for their work regularly, finding a way to reward their efforts will go a long way in boosting their morale. 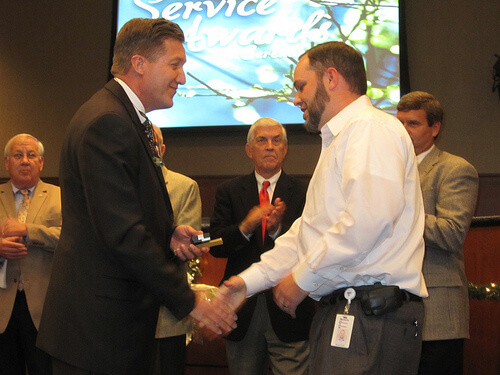 This also helps to improve the employee’s loyalty to the company, which often bodes well for productivity and profits. There are different ways to reward employees and they range from gifts and paid holidays, to planning a dinner party complete with chauffeured transportation. Providing the door-to-door transportation service will not only show the employees that you appreciate their work, it also shows that you care about their safety. Hiring a chauffeured car to take them to and from an event will help them to relax and it can also help to ensure convenience for everyone, as they do not have to worry about driving. Any company that hopes to grow and remain profitable knows that employing the right talent is essential. As use of technology by organizations continues to soar, individuals with the skills to create competitive security, develop software and manage complex technical projects are in high demand. If you are planning to interview an individual with top talent, you need to realize that your competitors may be courting the same individual. It is a good idea to provide a great candidate experience in order to gain an edge. You have to realize that the candidate is probably looking for something extra beyond the salary. By coming across as a company that values image, you can gain an advantage when it comes to hiring the best talent. Hiring a chauffeured limo to pick the candidate up at the airport can communicate the message that you care about the individual’s time and you are serious about bringing the person on board. Business travel can be very stressful and most professionals will admit that it is something that they would rather avoid. Well, trying to keep productivity high while struggling with the feelings of changing time zones, and fighting off exhaustion can be difficult. After a long flight, the last thing anyone wants to think about is driving or getting an uncomfortable ride from the airport. Fortunately, you can prevent this by hiring a chauffeured car as part of the itinerary. By scheduling limo or car service to pick employees up at the hotel or airport, you can ensure that they focus on their work more effectively. Planning transport for a large number of employees can be very challenging for transport managers and corporate event planners. This becomes even more difficult if you have to deal with workers of different ranks and different flight schedules. Contact a good chauffeured transport company and allow people with experience to take care of your transport needs. This will help to ensure that the event goes off without any hitch. Chauffeured transportation can make a huge difference when you want your business to grow and become successful. When you are looking to make a good impression, choosing the right chauffeured transport service can go a long way! When preparing for your trip, you have to know how to pack smart. At a time when baggage can actually end up being a hindrance as you travel though airports, you need to be careful about what you pack. This is especially important when you are planning a short trip. Experts agree that when packing, you should never waste luggage space. Most frequent travelers know that bag fees can add up and you can end up paying more than you anticipated. While it is not always possible to carry a single bag on your trip, you need to know how to maximize the space in your carry-on luggage. When packing, make sure that you are not paying more than you need to. The items you are checking in should be what you absolutely need and nothing more. Seasoned travelers pride themselves on knowing how to pack well and when they get to their destination, nothing is forgotten, stained, damaged or wrinkled! The following tips will make your Boston trip more pleasant. 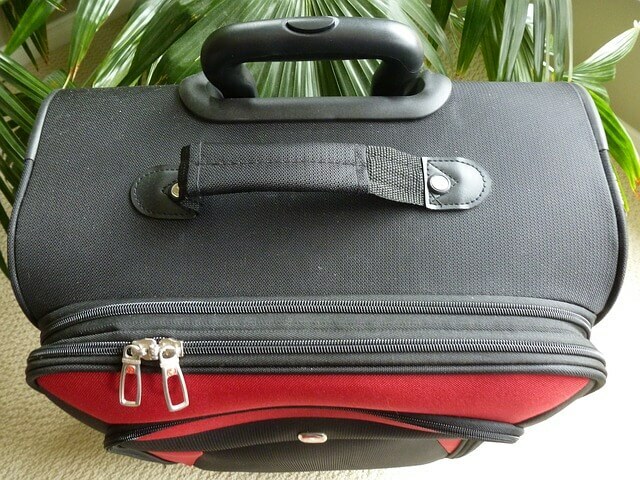 When making your travel arrangements, make sure that you find out the airline’s requirements when it comes to baggage. Find out the exact dimensions that are allowed by the airline for personal luggage. Remember that this varies from one airline to the next and no particular bag will be perfect for every occasion. You need to know that there are airlines that charge up to $25 or more for personal bags that are deemed oversized. Visit the airlines website or talk to your travel agent to find information that will help you when trying to keep your checked luggage to the minimum. 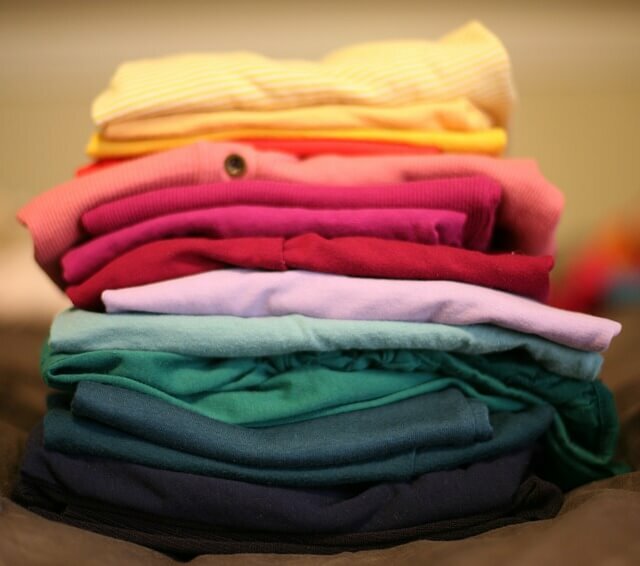 It is important to know that how you fold your clothes will determine whether or not they end up wrinkled. The folding technique will differ depending on the clothing item or the fabric. Many seasoned travelers have learnt how to choose clothes that do not wrinkle easily. Items like blazers can take up a lot of room and they also wrinkle if folded poorly. Wearing the blazer is one option although it might still result in some wrinkles and it might not be practical in warm climate. To reduce wrinkling, pull one of the blazer sleeves through the other and fold the blazer in half just once. To pack effectively, consider getting some compression bags. Depending on how large or small your carry-on bag is and the personal items that you need on board, you can fit some extra items at the bottom of the carry-on. You can put items like wrinkle free shirts, socks and other items in these spaces. There are different compression bags in the market and they range in price depending on the type and where you buy the bag. They are, however, quite affordable and it is a purchase worth making. When packing your carry-on, think in layers. If you need to access anything in the bag during the flight, you need to make sure that it is at the top. Pack any medications and liquids that you need to declare to the TSA in a clear bag and place them on top. This will help to ensure that you do not have to rummage or dig into your bag when you get to the security check. This will not only help to save time, it also means that you do not have to keep packing and unpacking before you get to your destination. Depending on your requirements, carrying a personal bag or purse for the items will help. Labeling your bag will come in handy if you become separated from your luggage during the flight. Due to the increasing cost of checking bags, the overhead storage space has become scarce and you might not be within arm’s length of your bag. The fact that it is not easy to reach your bag also means that you can easily be separated from it. Make sure that you label your bag carefully to avoid any mix-up. The outside of your bag should have your contact information or any other personal identifier. There have been many cases of people walking out of the plane with the wrong bag and this can be avoided with careful labeling. Your luggage amount will determine the vehicle size that you need to transport you from the airport. 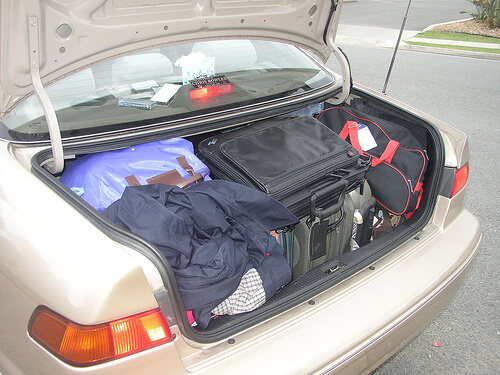 When hiring a Boston car service, you need to determine the amount of luggage that you have. This will help you to decide whether you need to hire a SUV. Make sure that you get the services of a reputable car service so that you can get the vehicle of your choice. Hiring a limo can help to ensure that you have a smooth and relaxed ride to your destination. Discover The Best Art Galleries in Boston ! If you are an art lover, a visit to the various Boston art galleries and studios should occupy you for days. You will enjoy your visit as you discover what Boston has to offer in terms of art. It can be difficult to know where to begin owing to the wide range of options. Although you can find art galleries in virtually every Boston neighborhood, some of the prime locations for art shopping and browsing include Charles Street in Beacon Hill, the South End, Newbury Street and the Fort Point Channel area. By focusing on areas with a high concentration of galleries, you can make the most of your tour. 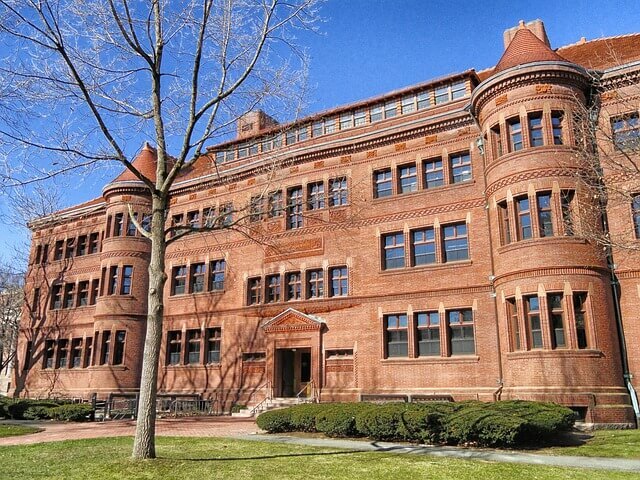 Boston boasts world-class museums, top-level art schools, thriving communities of artists and numerous art collectors. The art galleries specialize in every art period and genre with art pieces geared towards every taste and budget and there is something for everyone. Apart from the galleries, there are artists that display their work in shows, open studies and other informal settings. At these venues, you can enjoy works from emerging artists and from established artists as well. The art pieces that you buy while traveling can be very special as you create lasting memories of your trip. Most people will agree that the top Boston location for art galleries is the fashionable Newbury Street. This is where you will find the most art galleries in Boston. Alongside the jewelry stores, restaurants and high-end designer boutiques, you will find more than 30 art galleries and antique shops that offer a sizeable art collection. 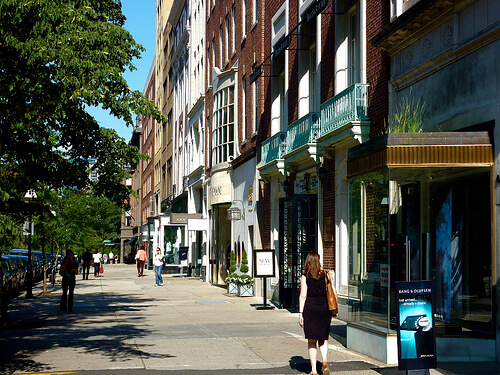 Hopping from one gallery to another is a favorite pastime of many Bostonians and you can join other art lovers in “gallery hopping” along Newbury Street. If you are a serious art shopper, you can find galleries where you can spend your money on any style, period or level of artistic expression. Beacon Hill is different from Back Bay in that there are very few art galleries, but numerous antique shops. Located in the lovely 18th century neighborhood, Beacon Hill has shops where you can discover some amazing art. If you love sculptures, the antique shops can yield some lovely surprises. You will find most of the antique shops along Charles Street, between the Public Garden and Boston Common. This is also the home of several restaurants, hotels and small stores and you can walk the length of the street in about 20 minutes if you are not captivated by what the shops have to offer. To shop for art or antiques, simply walk along the street looking at the style or period of the items displayed in the windows and if you see something you like, you can walk in. Remember that some of the shops are located on the second floor and you should look up as you walk. Most of the antique shops specialize in furnishings and you can also find some fine Asian art and objects. Some of the shops where you can find great artworks include Good, Judith Dowling Asian Art Gallery and Twentieth Century Ltd Goods. You can find everything you need from sculptures to jewelry. For the most avant-garde or trendy art galleries in Boston, visit the South End art galleries. The South End location is undoubtedly Boston’s trendiest area and it is where you can expect to find the ultra-hip crowd. Your first stop in the South End neighborhood should be the SOWA Artists Guild at 450 Harrison. The Guild is an organization that is comprised of professional artists and many of them live and have their studios in the South End. Other locations of interest are Berenberg Gallery, Bernard Toale Gallery and Chase Young Gallery. The Gallery at The Piano Factory is open a few hours in the afternoons on most weekends as well as on some Friday openings. The gallery is housed in an 1854 piano factory that has been repurposed. The PCG or Piano Craft Guild provides work, affordable living, and exhibition space for a number of South End artists. The Piano Factory Gallery offers a unique and eclectic mix of shows that also includes different media. There is always something interesting to see at the gallery even if it is the uniquely decorated doors and you will not be disappointed that you made the trip. If you love pottery, make your way to Vessels Gallery. The gallery specializes in sculptural objects and you can find some beautiful and affordable pieces to take home with you. The art pieces are made by both local and international artists and you can get details about the artists behind the works. Whether you are a collector or if you are looking for a gift, this is a great place to visit. Hiring a Boston car service will help to ensure that you visit the art shops conveniently. The service will also come in handy when you need someone with experience to drop you exactly where you need to be. Where Can You Enjoy The Best Beach Time While In Boston? If you love the beach, a trip to Boston will not leave you disappointed. Several beaches near Boston provide much needed escapes from the city. You can feel like you are away from the city without actually leaving! The “hidden secrets” are appreciated by residents and visitors alike and if you are visiting Boston for the first time, you will be glad to know that there are places where you can go to unwind after days of sightseeing. You can enjoy swimming, walking across the sand and soaking up some sun at the convenient city beaches. The best thing about visiting Boston beaches is that they are easy to access. Whether you choose to use public transportation like the bus or subway or you take advantage of convenient car service, you can be at the beach within no time! The beaches located in East Boston, South Boston, Revere and Dorchester, are just some of the places where you can relax and enjoy the water. Following are beaches that you must visit when you are in Boston. There are 4 South Boston beaches that look out to the Dorchester Bay. The Pleasure Bay Beach, Carson Beach, M Street Beach and L Street Beach make up the 3 miles of the uninterrupted Boston area beach. The beaches form one continuous stretch and it is difficult to say where one ends and the next begins. The area is a remarkable sight and the best part is that it is located a few miles from the city. You can enjoy magnificent views of Harbor Islands. The beach boasts plenty of family-friendly amenities and they include a large bathhouse. This is a popular beach in the summer but you can also get some action during winter. The L Street Beach hosts the annual 1st January swim. A group of local residents known as the “L Street Brownies” take a plunge into the cold icy waters to raise funds for charities. Located north of Boston is the 2 mile-long Revere Beach. The easily accessible Boston beach looks across the Atlantic Ocean and on warm days, it can attract thousands of visitors. 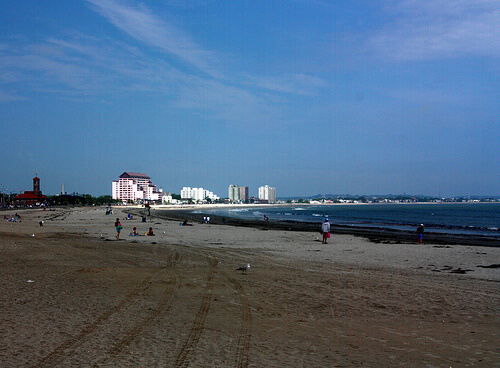 Revere Beach was established in 1896 and it goes down in record as being the country’s oldest public beach. Some of the features that you can enjoy while at the beach include Victorian-style pavilions and a public bathhouse. Across the street, the numerous food vendors keep the place lively while ensuring that people remain well fed as they enjoy the ambiance. If you love crowds and fun, Revere Beach is the place to be on weekends. If you want to avoid the large crowds, visit the beach early in the morning or late in the evening. You should also avoid the weekends if you want to have the beach to yourself to enjoy the spectacular views. For five days in July, you can watch expert sand sculptors from around the world turn sand into beautiful and elaborate works of art. Castle Island was originally an actual island but in 1891, a strait was filled connecting it to the mainland. Castle Island is the home of Pleasure Bay Beach and among other attractions; it boasts the historic Fort Independence. The beach offers the perfect location to view the USS Constitution during its annual July 4th cruise that includes a 21-gun salute representing independence. Castle Island is a wonderful place to be and even on days when it is sweltering hot, you can find a cool breeze to keep you comfortable. You can escape to this paradise from the hot and humid city. Malibu Beach and Savin Hill Beach were some of the most popular beaches in Boston until the 1960s, when lack of maintenance took its toll. Fortunately, upgrades that include re-sanding and beautiful landscaping have helped to restore the beaches to their former glory. The beaches are located next to each other and they offer some protected swimming areas for those who love being in the water. They toddler playgrounds and ball fields, making the location very family friendly and you can enjoy the bathhouse at Malibu Beach. Constitution Beach is located between the T’s Blue Line tracks and Logan Airport and as such, you can expect plenty of noise from the passing subway trains and planes. The fact that it is walking distance from Bennington Street makes this half a mile long beach a favorite with locals and it gets quite crowded. If you are looking for a secluded beach to enjoy some quiet time, this is not it! It is, however, a great place to hang out if you are between flights. Constitution Beach has gone through some upgrades in the last couple of years and it boasts a large playground, a new bathhouse, a picnic area, sun shelters and handball and tennis courts. When visiting Boston, consider hiring a car service that will take you to your beach of choice conveniently and in comfort! Learn Steps To Reduce Jet Lag Before Your Next Boston Trip! Many business travelers flying to Boston are no strangers to regular jet lag. If you have to go straight to a meeting or presentation when you arrive, you know that staying alert is crucial. While there are those who have accepted jet lag as a price they have to pay, it can be avoided. The last thing you need is to deal with fatigue from your cross-country travel. Making the best transport arrangements even before you leave for Boston is a good step, but you also need to know how to combat symptoms of jet lag. To make sure that you arrive at your meeting clear headed and focused, here are some steps to take while preparing for the trip. By staying sharp and focused during the trip, you can mitigate the annoying effects of jet lag on your body. Arriving fresh will help to ensure that you accomplish your mission in Boston effectively. Following are some simple steps that can help you to manage jet lag. Before you begin your journey, make sure that you adjust your watch. This will not only help you to tell the time, it also helps you to adjust your internal clock. This is more than just a mind trick and it actually works! You will find yourself more prepared for the time zone that you are entering when you sync your clock. If you are travelling across different time zones, sleeping and eating at the appropriate times is a good way to help you adjust faster. Do not worry even if it means sleeping several hours earlier or later than usual. By adjusting your internal clock, you will find it easy to adjust when you get to Boston. However difficult it may be, you should try to catch some sleep on the plane. Admittedly, this is much easier if you are travelling first or business class. If you are traveling across country, try to get the best seat and if you are travelling late at night or early in the morning, try to get some sleep mid-flight. Many people feel like they should use the time on the flight to prepare for the presentation or meeting but your time will be much better spent if you catch some winks. Sleeping will not just help you to avoid drowsiness, it will also help you to feel more relaxed and energized on arrival. There is no point in spending all the time catching up on your notes only to fall asleep during the meeting! To combat jet lag, you should endeavor to stay hydrated. Drinking plenty of water both before and during the flight is important and it will keep you focused during your business meetings. Try to avoid indulging in too many in-flight beverages as these only serve to keep you dehydrated. Using coffee to stay awake will not do you much good when trying to fight jet lag. Avoid soda and alcohol and remember that when you combine these beverages with the effects of cabin pressure and altitude, you have the perfect recipe for drowsiness, headaches and poor focus. Remember to bring your headphones during the trip. Apart from helping you to sleep or to focus on work, the headphones will help to drown out the noise around you. 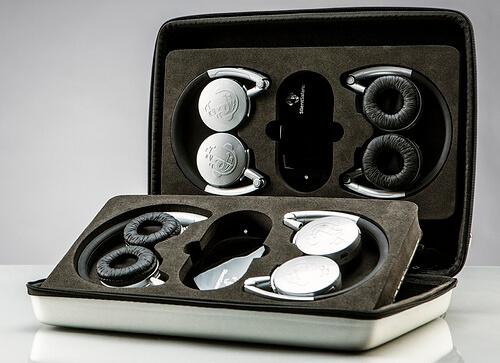 Loud neighbors or cranky kids can add to your woes, making the headphones essential in-flight accessories. Wearing headphones is a great way to pass the message to chatty individuals that you prefer not to be disturbed. If you do not have the noise-cancelling headphones, you do not have to worry as any ear plugs can work just as well and this includes the plain earbuds that come with your cell phone. You should limit any stressors that can affect your trip. By preparing adequately for the trip, you can avoid situations that can lead to stress, helping you to feel great on the trip. Before leaving, make sure that you make all the transport and accommodation arrangements. Making bookings in advance will help you to avoid stress when you get to your destination. Confirm your hotel bookings and make sure that you hire airport transportation. Knowing that you have a car service waiting for you when you get to Boston can help to alleviate feelings of stress. Setting up transport arrangements ahead of time will go a long way to minimize jet lag. Make sure that you hire a comfortable vehicle for the journey. A limo will not only help to ensure that you get to your destination in style, you can also stretch out and relax in the comfortable vehicle. If your schedule allows it, try to get some exercise upon arrival. Spending some time in the hotel gym or walking around the Boston streets can do you a lot of good as it gets your blood flowing throughout the body. Hiring Boston Chauffeured Transportation For Your Corporate Events? Planning transportation is never easy especially when you are organizing the transport for a group of executives. You have to think about the best way to provide convenience while maintaining your brand image. As any event or corporate travel manager knows, planning chauffeured transportation can be quite complex. When planning an event or conference, you have to think about coordinating the transport needs of all the attendees and this can sometimes be a confusing process. Once you establish your budget, you can determine issues like the number and type of vehicles you need. 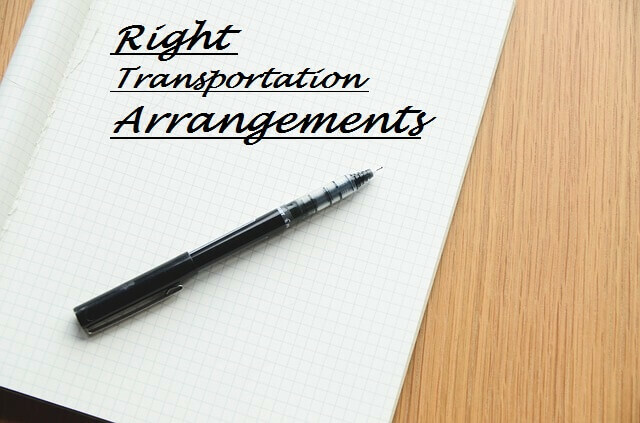 When planning the transportation, make sure that you do some research so that you work with a company that has experience dealing with executive service. You have to know that one transport company is not the same as the next. Think about the venue of your event or conference when planning the transport. Remember that distance or mileage will affect the cost of the chauffeured transport. To avoid stress when planning the transportation, you should establish a few factors. Working effectively with the transport provider will help to ensure success. Depending on the occasion or event, it is a good idea to determine if the attendees can share vehicles. Consider the rank and preference of the guests when making this decision and note that most people attending the event are likely to be open to the idea of sharing rides. Hiring larger vehicles to transport several passengers can help to keep costs down without sacrificing comfort. There are instances when it is best to hire individual sedans for each executive. There are many options when hiring group transport and you can make sure that your guests get luxury experience from the latest vehicle models. When making the transport arrangements, you need to ask if the attendees will have luggage. Determine the size and quantity of the luggage the attendees are bringing so that you can book appropriately sized vehicles. Individuals carrying more than three pieces of luggage will typically need an SUV. Knowing what to expect will help you to determine whether you should book regular sedans, limos, SUVs or even buses. Failing to consider the issue of luggage can lead to last minute changes as you try to get extra transport. This can be both costly and inconvenient and it can cause event delays. When talking to the transport company, you need to discuss the issue of last minute changes in scheduling. Things happen and it may be necessary to change your itinerary at the last moment. You need to know whether the changes are acceptable. In some cases, the attendees may request the changes on the way to the venue or conference. You need to determine who has the authority to request the changes. This will help to avoid issues where some attendees may decide to make personal detours at your expense. Remember that extra mileage or stops will increase the cost of the journey. When planning the transportation, you need to coordinate your ground efforts with air travel. This can be an unpredictable aspect when planning the group transportation. It can be challenging to determine whether flight delays will affect your transport plan. Sudden weather change can lead to mass delays and this can mean rescheduling your vehicle needs. Consult with the limo provider to find out whether they can track flights. This will leave you free to focus on other event details. If you are planning to place attendees arriving at the same time in one corporate chauffeured vehicle, it is a good idea to make sure that they use the same airline. Delays can result in one flight arriving first, thus causing inconvenience. It is a good idea to confirm that the transport provider accounts for variables like traffic and road closures. A good chauffeured limo service provider will always consider the variables and will track travel obstacles when planning the route. You can ask about the contingency plan that will help to reduce potential delays. When you work with the right transport provider, you can be sure that you will get the best service for the group transportation. Remember that the venue or distance to the event or conference will determine how easy it will be to get there. Coordinating group transportation can be challenging, but when you work with the right service provider, you are on the right track. As long as you provide complete information about individual needs, flight schedules and other details, the professionals will take care of all the logistics. The experienced Boston chauffeured transportation will help to ensure that your guests enjoy a comfortable and luxurious journey to the venue. Find out about packages available for booking group transport and remember that advanced booking will help you to avoid disappointment. Be The Perfect Host By Making The Right Transportation Arrangements! When planning an event, you have to think about the best ways to make your guests enjoy the occasion. Thinking about all the details will help to ensure that you are remembered as the perfect host. Serving great food but failing to provide other facilities will not go down very well. Whatever the event or party you are hosting, arranging for the best transport for your guests will help to enhance the party atmosphere while ensuring convenience for all. Make sure that you provide the most comfortable mode of transport for your guests. A comfortable vehicle will help to ensure that your guests remain comfortable even when stuck in traffic or busy intersections. Make arrangements early enough to ensure that you get what you need. When making the transport arrangements, you need to consider the type of event you are hosting. Whether it is a wedding, holiday party or corporate meeting, choosing the best transport will help to ensure that you have a successful event. To make the best transport arrangements, make sure that you plan. Create a guest list and write down the number of guests you are expecting and their arrival schedule. Find out the location of your guests and where they will be picked from. Planning will help to ensure that all the guests are catered for and you do not overlook anyone. It is a good idea to seek confirmation from all your guests so that you can make the best arrangements. Having accurate numbers will also help to ensure that you hire the right number of vehicles for the event. It is important to stay in touch with the transport service provider as you make the arrangements. The first thing you should do is to ensure that you work with a reputable company. This is the best way to ensure that you get the best experience. Meet with the transport service company and discuss your needs when it comes to timing, the vehicles specifications and other details. Let the company know if any of your guests may have special needs and find out how they can help. Remember that regular communication before the day of the event will help to ensure that everything goes smoothly. Picking your guests up at the airport or train station is one thing but transporting them to the venue is another. If the guests arrive a day or two before the event, you will need the transport service for more than one day. Make sure that your guests and the transport company know the exact location of the venue. Do not make assumptions that everyone knows where they should be. Apart from the location, confirm timing details so that everyone can be at the venue on time. Make sure that you allow plenty of time for the pick up of all the guests before the event or party starts. Many hosts arrange for transport to the venue but they overlook transport from the venue. The worst thing you can do is to leave your guests stranded at the venue after the event is over. You have to make sure that you plan to get your guests back to their hotel or accommodation. The vehicles should be ready at the venue so that your guests do not have to wait around too long. When you work with a reputable company, you can be sure that the limos will be available when the guests are ready to leave. If you have elderly guests or guests with kids, you need to realize that they might want to leave early. When planning your transport needs, the costs will determine how far you can go in terms of number of vehicles and duration or how long you need the service. Booking in advance will help you to save on cost and you can also benefit from packages that are available when you hire several vehicles. Making last minute arrangements can turn out to be very costly and you should avoid this as much as possible. Booking your transport early will not only help you to save money, it will also help to ensure that you avoid disappointment. Book your limos or party bus early enough so that you can get the best vehicles for your needs. When you work with the right company, you can get services that you and your guests will love. The service providers will pick your guests and take them to the destination without delay. Work with Boston Car Service professionals who will make sure that all your guests are comfortable and surrounded by tranquility. Remember that limos and buses can be difficult to book when you do so in a hurry. Making transport arrangements a priority will make you the perfect hosts and your guests will thank you for a long time to come. The proposal is out of the way and now you have to start planning the big day! This can be rather daunting as you begin to list down all the details that go into wedding planning. After you have picked the date, located the perfect venue and bought the dress, you know that you still have many details to deal with. It is commonplace to find yourself weighed down by all the details of making sure the invites and flowers are perfect, choosing bridesmaid dresses, hiring a photographer and talking to caterers and it is easy to overlook important issues. In all the planning, there is one thing that you should not overlook and that is that issue of transport. It is not a good idea to wait until the last moment to make transport arrangements. Well, many couples who do this find themselves regretting the decision, as they find that they have limited options. Now is the perfect time to start thinking about choosing the best limo for your wedding. A reputable Boston limo company can help to ensure that you make your wedding festivities extra special. Following are some ways to use a limo to add style and comfort to your special occasion. In the run up to the big day, you will need to plan several events. When planning your last days as a single man and woman, it is important to make the occasion extra special. Every girl knows that this may be the last chance to let go with pals as a single girl! The same goes for the man who has an opportunity to cut loose with the guys. No one wants to think about being the designated driver or hailing a taxi after a wild night! Making transport arrangements before the evening will help to ensure that everyone relaxes and enjoys a great night out. Booking a limo is the perfect way to bid the single day’s goodbye. The party can begin the moment you get into the limo and will not stop until you are safely back home. If you have guests arriving from out of town, making transport arrangements from the airport can be a huge task. It is even more difficult if you have a large number of guests arriving from different destinations on different flights. Trying to work out all the logistics and tracking the different flights can be quite stressful and it is a good idea to try to talk all your relatives to travel on the same flight or to arrive at the airport at a particular time. Trying to coordinate transport can be difficult but fortunately, you can get all the help you need from a good car service. You can make the airport transfer more convenient by hiring a large limo, SUV or a minibus. Most people use the rehearsal dinner as a time for relatives to come together and connect. This is also a great time for the couple to relax and enjoy the final hours before saying their “I do’s”. They can relieve stress and pre-wedding tension by having their loved ones around them. You can extend the great occasion by having the families ride together to the restaurant. This will not only offer some bonding time, it will help to ensure that everyone gets to the venue on time. Hiring a limo to transport the parents to and from the rehearsal dinner can show them how much you appreciate their presence. Arrive at the church in style by hiring a wedding limo. Your wedding should be your chance to make a grand entrance everywhere you go and this begins at the church. Booking a limo for the occasion will allow you to arrive in comfort with your bridesmaids before making your way down the aisle. Talk to the limo company about any special services that you may need with the wedding limo. Hiring the vehicle for the entire day will ensure that you avoid delays and everything can go on smoothly. Book early so that you can get a vehicle that suits your specifications, down to the color and decorations. By the time the wedding festivities are drawing to an end, you will be more than ready to leave the reception. Knowing that you have a limo waiting to whisk you off can ensure that you end the day on a high and stylish note. The best thing about having a limo as your getaway vehicle is that you have ample space to spread out and unwind. You can relax as you enjoy a luxurious ride to your hotel and the well trained and professional chauffeurs will deliver you to your honeymoon destination. You will not have to worry about traffic, airport parking and other issues that come with driving or getting a friend or relative to drive you. Limos offer a stylish and efficient way to crown your wedding celebration. If you are planning on visiting Boston in the near future, one of the important aspects of planning the trip is choosing how you will get around. Most of the time, you will need to figure out how to get from the airport to your hotel and to all the other destinations you would like to visit. Thankfully, there are many travel options you can choose from in Boston. Getting a bus from the airport can sometimes be difficult on account of the timings. You might get there when there are no buses, which means that you would have to wait for some time before the right one comes along. Given the fact that you will have been traveling for a long time at this point, this might make you even more tired and frustrated. Having kids or a lot of luggage makes it even worse. When you hire a car, you won’t need to worry about any of this. If you are using a high quality firm, you only need to give them your itinerary, and they will be waiting for you at the airport by the time you get there. There won’t be any need for you to wait. Even if your flight is delayed, the fact that they will have your flight information means that they will know about this and change their plans accordingly. By using a hired car, you only need to deal with the jet lag, and not other logistical problems. Suppose you are traveling with your whole family, and happen to have a few large suitcases. Can you imagine going on a bus or train with them? Not only is it likely to be cumbersome, but you may also end up inconveniencing other people as well. Since you will be tired at this point, the prospect of having to drag your luggage around will definitely not be appealing. Renting a car avoids all this. You can rent a car that is large enough for all your luggage, which means that you won’t have to deal with any awkwardness related to moving it around. One of the major disadvantages of using public transport to travel is the fact that you might not have the luxury of going wherever you want to go. If you choose to stay in a very remote hotel, for instance, you would need to get off at the stage closest to it, and then walk the rest of the way. When you are tired, have luggage and cranky kids, this might not be very easy. When you hire a car, you can explain exactly where you want to go and have the driver get you there. There will be no need to worry about not being able to get there. Things such as air conditioning, enough room and cleanliness might seem minor, but they can make a huge difference in as far as improving the quality of your trip is concerned. This is especially so after you have been in a plane for a very long time, after which having to deal with the rigors of public transport will only drain you more. If you are relying on a hired car, it’s often easier to plan your itinerary. The problem with public transport is that you might have to deal with more unexpected delays. This makes it unreliable particularly for people who have very little time to waste. For instance, if you are visiting Boston on business, hiring a car might ensure that you get to where you need to be on time. Traveling in groups tends to be quite cumbersome. Everybody needs to be in sync to avoid any delays. When you rent a car for the transportation of a group, it makes it so much easier to do achieve the best of group travel without experiencing frustration. In summary, there are many compelling reasons for you to consider hiring a car when visiting Boston. However, you need to keep in mind that just how much you benefit from this will depend on the quality of the company you hire the car from. Always choosing a high quality car hire firm will enable you to benefit in the best way possible in Boston. The Boston Fire Museum is one of the most popular historical sites for most people to visit. It allows you to look into the past of fire fighting in the city. The fire house is straight from the pages of history, but is fully functional. Some of the equipment you can expect to see include hand drawn pumpers, ladder trucks from that era as well as photo displays of the various firefighting teams in the past. The Boston Fire Museum is located in an actual fire house that was built in 1891, so you can be sure that you will be getting an authentic experience. Donations to the museum are gladly accepted, and the museum is open only on Saturday. The museum is often manned by actual firefighters who can explain everything to you. The Harvard University is one of the most notable things about Boston, and the fact that it covers such a large area makes it even more remarkable. However, most people don’t consider it a tourist facility, despite the fact that you can actually tour some parts of it. The University was founded in 1636, making it one of the oldest in the world. As a visitor, you can take a guided tour of the University’s historical sites and landmarks. The tour normally starts at the Holyoke Center Arcade, and is usually student led. During the tour, you will get the opportunity to learn more about the University’s history. Whether you have dreams of joining the university or not, you will definitely find this to be a very fascinating trip. When it was started, the Faneuil Hall was established as a market for fishermen, merchants and other types of vendors. With time, however, it morphed into a more prominent marketplace, and was frequented by individuals such as George Washington and Samuel Adams. There are some historical sites within the marketplace that hark back to this, and you can visit some of them if you are a fan of history. If not, you can still visit it and indulge in the shopping, since there are more than 50 shops, restaurants and food stalls for you to indulge in. This is one of the most revered places in Boston. Essentially, it is a burial ground for people who have played a huge role in shaping America’s history. Some of the historical personalities that have been buried here include Paul Revere, the victims of the Boston Massacre, Benjamin Franklin’s parents and Paul Revere. This is one of the most popular historical attractions in the city, and any history buff would definitely find it a lot of fun to experience the story behind this trail. One of the most significant events in America is the Boston Tea Party, which is a major event in the fight for freedom. The Boston Tea Party Museum and Ships offer you an opportunity to get in contact with some of the memorabilia associated with this event. You will also get to understand some of the things that catalyzed the revolution. If you are interested in a history experience that will give you an idea of how much was done for the country to become free, this is one of the best ways for you to do it. This is a 221 foot tall obelisk which was put up in commemoration of the battle of Bunker Hill. You can visit this important historical site to get background information about the details of the battle. You can also climb to the top of the monument, a perfect way for you to get an excellent view of the surrounding area. Remember to carry your camera with you, since this is one of the best photo opportunities you will get in Boston. As you can see, there is a lot you can see and do in Boston as far as history is concerned. If you are thinking of visiting any of the sites above, consider renting a car for your travel comfort. This eliminates the need for you to have to memorize things such as the route you will need to take to get there via public transport. Boston City Ride is a reputable car service provider that offers affordable rates to help you get around Boston in style and comfort. Talk to us and learn more today!